Nuclear Blast Entertainment has announced the signing of ruminant Arkansas progressive doom quartet PALLBEARER for the territories of Europe, Australia and New Zealand. The band's third record, titled "Heartless", will be released on March 24, 2017. 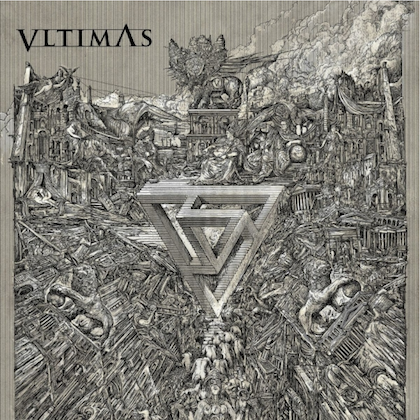 The effort will be made available via Nuclear Blast Entertainment in Europe, Australia and New Zealand and via Profound Lore in North America. Initially formed in 2008, PALLBEARER grew from the fertile underground metal scene of Little Rock — releasing their debut full-length, "Sorrow And Extinction", in early 2012. The record made an immediate and immense impact on die-hard doom fans and metal critics alike, also forming the four-piece fans outside of the metal scene. 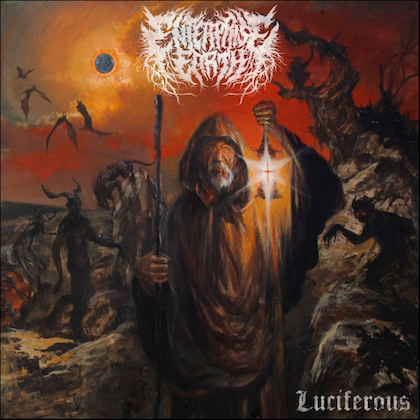 Their formidable sophomore record, 2014's "Foundations Of Burden", featured on countless critics' end-of-year lists and cemented their reputation as an unstoppable and emotive force — driving doom beyond its imagined limits, carving themselves an entirely original path through the realm of heavy music. 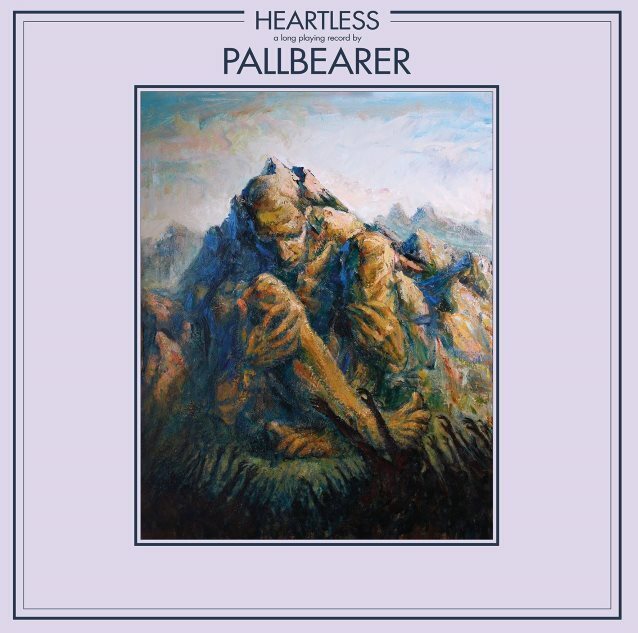 PALLBEARER commented on "Heartless": "This album finds us exploring new territories; instead of staring into to the void — both above and within — 'Heartless' concentrates its power on a grim reality. Our lives, our homes and our world are all plumbing the depths of utter darkness, as we seek to find any shred of hope we can." Regarding the ruminative album artwork, created by hugely talented Indiana based oil painter Michael Lierly, PALLBEARER said: "Michael Lierly's indelibly expressive work perfectly captures the feelings of fear and heartbreak we hoped to convey as our world crumbles around us." 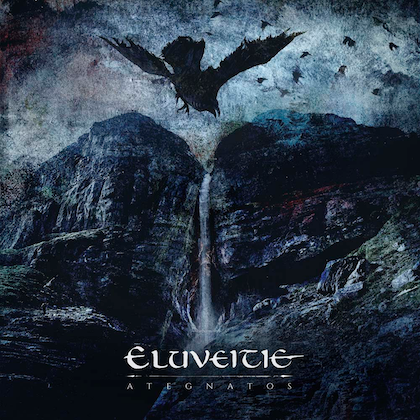 The album layout was handled by Chimere Noire. "Heartless" was recorded entirely to analog tape at Fellowship Hall Sound, Little Rock, Arkansas between June and August 2016. The record was produced by PALLBEARER, and mixed by acclaimed producer Joe Barresi (TOOL, MELVINS, QUEENS OF THE STONE AGE, FU MANCHU). Engineering was handled by Jason Weinheimer and Zach Reeves, and mastered by Grammy-winning mastering engineer Dave Collins (BLACK SABBATH, ALICE COOPER, SOUNDGARDEN, STING). 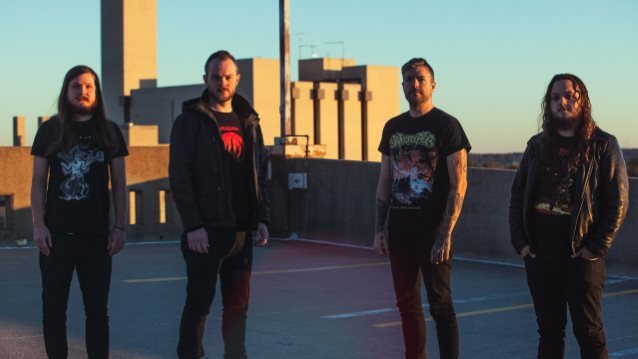 PALLBEARER commented on the Nuclear Blast signing: "We are very excited to be working with Nuclear Blast on this record, as so many of the bands that have helped to shape our own artistic pathways have before us." Monte Conner, Nuclear Blast Entertainment president, added: "PALLBEARER continue to evolve and scale new creative and sonic heights with 'Heartless'. I am very honored to be working hand-in-hand with the band, Profound Lore and Oblique Artist Management, and look forward to Nuclear Blast playing a key role in exposing new fans to this incredible band."